Set in 1979, A Death in the Gunj is a coming of age story, about a shy student Shyamal Chatterjee. He uses a family road trip to McCluskiegunj, an old Anglo-Indian town, as an escape from his failed semester. At the outset, the makings of a perfect family holiday are in place but something is amiss. In the week that follows, Shutu’s quiet unraveling is overlooked by the family revelers, until the holiday ends with an implosion. Konkona Sen Sharma is an award-winning actor from India. 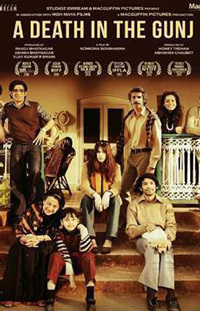 A DEATH IN THE GUNJ is her first feature film as writer and director. She is the daughter of award-winning filmmaker Aparna Sen, and granddaughter of Chidananda Dasgupta, a film historian, critic and one of the co-founders of the Calcutta Film Society along with Satyajit Ray. 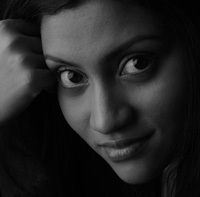 Beginning her acting career at the age of four, Konkona has acted in more than 40 films in Hindi, Bengali and English. She has received two National Awards and several industry awards. 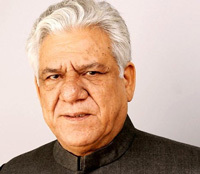 Late Om Puri (18 October 1950 – 6 January 2017) was an Indian actor who appeared in mainstream commercial Indian films, as well as independent and art films. He is best-known for his author-backed roles in films like Aakrosh (1980), Arohan (1982) and television films like Sadgati (1981) and Tamas (1987) and also light-hearted roles in Jaane Bhi Do Yaaro (1983) and Chachi 420 (1997). He had various collaborations with director Shyam Benegal and Govind Nihalani. 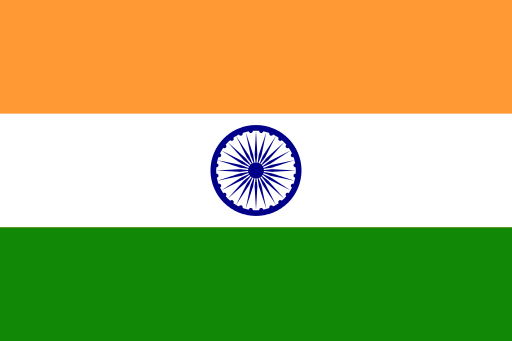 Puri also appeared in non-Indian productions in the United States, Britain and Pakistan. Puri was awarded Padma Shri, the fourth highest civilian award of India, in 1990; and in 2004, was made an honorary Officer of the Order of the British Empire. Fleeing a genocide against Hindus in Bangladesh, Probir reaches India in the middle of a major Hindu festival. An evening of intense religious euphoria follows and Probir feels he is like a child in a religious Disneyland. He is being accompanied by his childhood Muslim friend Anuar, who is enjoying the Hindu festival in his own hedonistic way. But Mother Goddess has other plans for him. Amit Agarwal spent his formative years in Kolkata, India. After an MBA from a premier business school in India he worked in the agricultural sector in Africa, India and Europe for over 10 years and decided to pursue his passion for cinema. He assisted Mr Girish Kasaravalli, the master Indian filmmaker on his acclaimed National Award Winning feature film “Kurmawatara” (The Tortoise, An Incarnation). He was the associate director to Mr Kasaravalli on a documentary based on the films of Mr Adoor Gopalakrishnan called “Images/Reflections”. 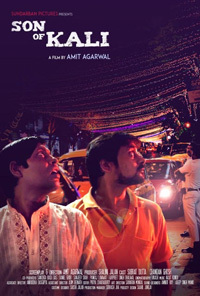 His first short film “Ek Khaas Aadmi” 2015 (A Special Man) premiered on NDTV Prime Channel. 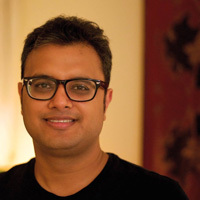 His feature film script “A Long Tunnel” was selected for the prestigious NFDC Directors lab in 2014. 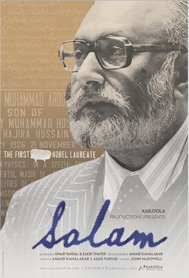 He pursues “Film Evangelism” at mostlycinema.com and gives public lectures on Indian Cinema.